As part of Pack 151's migration to Scoutbook, all the detailed info, roster and links you need to get ready have been posted to Scoutbook. To see the new "Getting ready for Kiwanis..." post in the Pack 9151 forum (and the other posts in your den's forum), you'll need to log into Scoutbook. After doing so, look for the "Forums" button. After you click this, you should see "Pack 9151 Forums" at the top of the list. There's a forum for each den and one for the pack. There are threads in each one. You can subscribe to any of them to be notified of new comments. 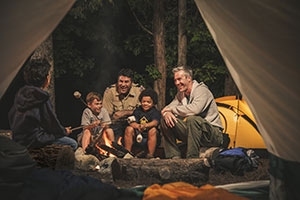 Experienced adults and leaders will add a few posts to Kiwanis Camp's thread (and others), offering a few helpful hints. It's time to start getting ready for camp! If you have any general questions, the best place to ask them is in that Pack 9151 forum.